A university has announced two £10,000 journalism scholarship which will see the recipients receive mentoring from a BBC presenter. The University of Sheffield has unveiled the scholarships, which are being offered to postgraduate students. 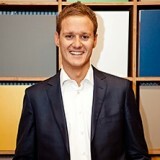 The Dan Walker Journalism Scholarship winners will be given work experience opportunities and personal mentoring from the BBC Breakfast host, pictured above left, who is a graduate of the university. The awards are aimed at students who may have a particular interest in journalism, and who come from social groups that are under-represented in higher education or are high achievers in their undergraduate degree. Said Dan: “I’m delighted to team up with my university to try and help two people each year start out in an increasingly competitive industry. Professor Marie Kinsey, joint head of the university’s department of journalism studies, said: “We’re absolutely delighted that Dan will be working with us to help train and educate the next generation of journalists. The scholarship will be available to UK or European Union students taking either MA broadcast journalism or MA print journalism at the University of Sheffield in 2017-18, and details can be found here.